1) Banish the word diet from your vocabulary now and never speak of it again. Just doing this one thing can help you lose weight by not torturing your body with starvation, crappy processed diet foods, fasting, and cleansing all in the sake of weight loss today that comes back tomorrow. Sanity saved. Also, be sure to check in and make sure you are in the right mindset for weight loss (if you aren’t you won’t get lasting results)! 2) Move your body, but don’t work out like mad. The whole “calorie deficit” paradigm is a sure way to slow your metabolism to that of a sloth, not to ensure long-term health and weight loss. What really helps with weight loss? A nutrient surplus. The only way to achieve that is by eating enough food to support your body in everything you do! 3) Use this little protein trick to help make sure you eat enough throughout the day. And of course, always eat your protein with real fat and easy to digest carbohydrates. If you don’t know what easy to digest carbohydrates are, these are you can learn here. 4) If you crave a cookie, eat the cookie. Or the ice cream! Your body is always communicating to you about what it needs and how you can get it. Eat what you CRAVE, just so long as it resembles real food! Discover how to make delicious foods like ice cream and cookies work towards your weight loss and not against it! 5) Get some S-L-E-E-P (hint: food actually helps you sleep better)! Crappy sleep that involves having trouble falling or staying asleep is a sure sign your body is running on stress and not fuel. Use this checklist to get your sleep back on track! 6) Get out of your life rut. If you’re feeling stuck in life and if you are not doing anything about it to change your circumstances, it’s unlikely your weight loss efforts will be successful. 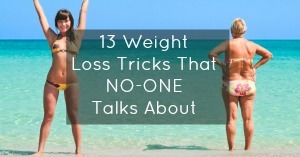 7) Don’t count calories and laugh at weight loss gimmicks that encourage it. If you need something to count, count the chemicals in the food you eat and try to keep that number as low as possible. Get rid of the toxic stuff that you’re either breathing in, surrounding yourself with, and/or smothering all over your body on the regular. Here’s a free email tutorial on how to detox your home in 30 days. Did you know that the health of your liver has a huge effect on your body’s ability to lose weight? Find out if your liver is slowing down your weight loss efforts here, and get some liver supporting tips in this article. 10) Eat regularly and make yourself (+your health) a priority. 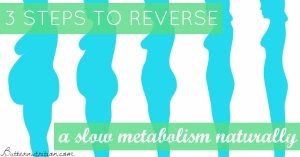 Did you know that weight gain usually occurs when you ignore your body and its requirement for nutrients? Make sure you’re giving your body high-quality fuel in the way of food on a regular schedule and not just relying on harmful synthetic. Eating might feel a little bit like a job as you get back into a routine after years of putting yourself on the back burner. The second way that you must make yourself and your health a priority is by getting the testing that you need to learn about your body and what you can do to support it. Hair analysis is by far my favorite testing method because you can literally use it to hack your own nutrition! 11) Listen to your body (dieting=ignoring your body). Eating (and therefore) weight loss should be fairly simple. If it starts getting too complicated, you’re probably barking up the wrong tree. 13) Don’t ignore your gut. If your gut hurts and you feel bloated, constipated, and miserable on a regular basis, pay attention and address it! It WILL stand in your way of making progress. Here are some signs to look out for. The definition of insanity is doing the same thing over and over and expecting different results. You need to DO something different to see results! You have to be healthy to lose weight, not lose weight to be healthy (this is why dieting is stupid.) 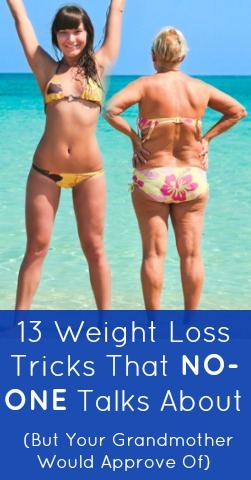 If you try to trick your body into losing weight, you will lose every time. P.S. And don’t forget, if you’ve accumulated a good deal of nutritional debt, weight loss won’t be a priority (because your body is struggling to function properly!) Find out how much nutritional debt you have with the quiz below!